I’m happy to welcome Mat LaLonde Ph.D back to the show to discuss which claims of the Paleo diet are – and are not – supported by modern science. We also touch on genetics, epigenetics, food toxins (phytic acid, lectins, etc.) and answer some questions from readers and listeners. Enjoy! 18:12 What is the best scientifically backed argument for Paleo? 39:57 Are lectins really problematic? 50:38 Is slow, low cooking the ultimate way to cook? Steve Wright: Hi everyone, and welcome to another episode of the Revolution Health Radio Show. I’m Steve Wright from SCDlifestyle.com, and with me is Chris Kresser, health detective and creator of ChrisKresser.com. Chris, how are you doing today? Steve Wright: I’m excited. We’re about to share the mic with Mat “The Kraken” Lalonde, and I’m stoked for what you guys are about to share with us. Chris Kresser: Yeah, I’m really excited about the show today too. Can’t wait. Steve Wright: All right, so before we get rolling today, if this is the first time you’re listening to the show, or if you’re new to the paleo diet, or maybe you’re just interested in optimizing your health, you’re gonna want to check out what over 10,000 people have signed up for already, and that’s called Beyond Paleo. Now, what’s Beyond Paleo? Well, it’s a free 13-part email series on Chris’s best tips and tricks for burning fat, boosting energy, and preventing and reversing disease without drugs. To get this, go over to ChrisKresser.com and look for the big red box. Chris Kresser: OK, so I’m really excited to introduce Mat Lalonde. Mat, why don’t you introduce yourself for those who don’t already know you, and tell us a little bit about your background, what you’re doing right now, and how you became interested in the evolutionary approach to nutrition and health. Mat Lalonde: Yeah, absolutely. I’d just like to say beforehand that it’s a pleasure to be here, and I listen to this podcast every week, so I’m killing two birds with one stone today. By being on the podcast, I won’t have to listen to it. And it’s also very apropos that we start with a promotion for Beyond Paleo because I feel like our discussion is going to be about beyond paleo. Mat Lalonde: So a quick intro: My name is Mathieu Lalonde. I have a PhD in organic chemistry from Harvard University, also a postdoc in inorganic chemistry from Harvard University. I then decided not to go into industry because I felt like a lot of the drugs that were developed there were addressing diseases of civilization, lifestyle diseases that were better addressed by changing the lifestyle than by taking a drug, and Robb Wolf got me interested in this paleo diet thing. I started doing some research on it, and all of the stuff that I know is self-taught. Even though I have a pretty solid science background, I’m still not an MD. You can call me doctor because I have a PhD, but I’m not an MD. And I owe my shift in career, if you will, to Robb and his shenanigans there. Chris Kresser: Yeah, that’s a familiar story, I think. Chris Kresser: So, you mentioned that we’re gonna talk about beyond paleo, and I agree. That’s probably a good intro to this show because, and maybe just a little word on why I even used that phrase on the website and why I titled the 13-part email series Beyond Paleo is that I’ve always looked at paleo as a starting place and not a destination, and the reason for that we’re gonna get into in a lot more detail, but in a nutshell, it’s that the paleo diet is a great basic template that we can all follow, but within that template, there’s a lot of room for individual variation. And then there are also foods that weren’t available in the Paleolithic Era that I think are beneficial when they’re well tolerated by the individual, and we’re, of course, gonna talk a lot more about that and the science and reasoning behind that, but I wanted to have Mat on the show because Mat has done a lot of work and kind of dedicated himself recently to scientific rigor within the context of the claims made by the paleo diet and, you know, people who talk about the paleo diet. And I really appreciate Mat’s perspective and his rigor in terms of piecing out what current medical science can say and not say about the paleo diet and which claims that are made by the paleo diet can and can’t be supported by the current evidence. Mat has talked about this before in a few different venues, but I really wanted to have him come on the show so we can rap about it here. So Mat, why don’t you give us a kind of overview of what you’re gonna talk about and then we’ll jump in. Mat Lalonde: Absolutely, so I can quickly cover some of the three main criticisms that I had that I talked about in other venues including the Ancestral Health Symposium, and then we can go beyond that because I think there are other really interesting things to discuss. Before I do that, I’m just gonna tell people straight up I truly believe in evolution as a scientist, and if you go to YouTube and you type in or you search for Why Evolution Is True by Jerry Coyne, you can watch that, and I agree 100% with everything that’s on there, and I went to see Jerry when he gave a talk here at Harvard, and he was fantastic. I’ll also say that the goal of my talk at the Ancestral Health Symposium was to help people better justify why they’re using this dietary approach or lifestyle. You know, I do realize that I ruffled some feathers because there are some folks who are coming out of field, and I’m coming out of field, but not that far, you know, chemistry and medicine aren’t that far off. But there are some folks who are coming from different fields, and really all they’re grasping on is this evolutionary thing, and they don’t realize that all it is really at the end of the day is a great way to formulate hypotheses, and I was seeing a lot of mistakes made in the blogosphere, and I was afraid that it was going to prevent a lot of professionals from taking our movement seriously. So that was the goal ultimately, and you know, it’s just so simple to ridicule the whole caveman argument that I wanted to go beyond that, I wanted to give people a little bit more to think about, so if you are on a paleo diet, or what I prefer to say actually, because there’s really no such thing as a paleo diet. The foods aren’t available anymore. You can try to mimic it. That’s the best you can do. But a diet that’s meat, vegetables, tubers, and fruits. That’s what I call it. Typical arguments for this will go like this: Our ancestors and modern hunter-gatherers consumed a diet that was mostly devoid of grains, legumes, and dairy, and they were virtually free of diseases of civilization. People then make the invalid inference that consuming a diet mostly devoid of grains, legumes, and dairy will thus allow us to be free of diseases of civilization. Why is this invalid? Well, Chris, maybe you can reiterate your shark attack analogy for us. Chris Kresser: Sure, yeah, so it’s been observed for quite some time that when people consume more ice cream, there’s an increase in shark attacks. So, obviously that means that eating ice cream increases your risk of getting attacked by a shark. Right, Mat? Mat Lalonde: Of course! Probably you eat too much ice cream, and then you drown in the sea, and they you move around a lot, and the sharks are attracted to you, and your blood tastes sweet. Chris Kresser: Right. So maybe there’s another explanation? Mat Lalonde: Maybe it’s because the temperature is rising. Steve Wright: No way! No way! Chris Kresser: So the temperature goes up, and more people go in the water, and then more people get attacked by sharks. Mat Lalonde: That’s correct. And when the temperature goes up, there’s also more people that eat ice cream because it’s cold and it’s yummy. Chris Kresser: Ahhh. So, yes, this is a perfect example of why we have to be careful, assuming that correlation equals causation, which we’ve talked about, of course, many times on this show. Mat Lalonde: That is correct. So, temperature here is what we call the variable that wasn’t observed, a confounding factor, in that it’s involved in everything, and there’s a lot of that that goes on in these observational epidemiologies. You can’t observe everything, so there’s almost always going to be, especially when it comes to human beings that are very complex and multivariate that live in a very complex and multivariate environment. You are never going to see everything. So observational epidemiology is great for formulating hypotheses and asking questions, but it doesn’t answer any questions. The same is true about this statement. You know, it’s just an observation. It’s just a correlation. You can’t say for sure that, yes, it is the case that if we eat like that we’re going to avoid the diseases of civilization, so you have to be very, very careful with that. Chris Kresser: Right, but as you pointed out earlier in the show, it’s reasonable to use that as a starting place, to say: OK, that’s an interesting observation, and maybe we can do some further investigation and see whether that’s actually true. Mat Lalonde: Absolutely. So let’s move on to the second one. This is one that I see often. It goes something like this: We evolved over millions of years without consuming the foods that became readily available only after the advent of agriculture. Hence, we’re not adapted to these foods. But this assumes that a species isn’t adapted to a food because it’s never consumed it. And if you look at the evolutionary record, that’s incorrect. There are plenty of examples throughout evolution where species discover novel sources of food and thrive on them. Chris Kresser: You mean like humans and meat? Mat Lalonde: Exactly! I was just about to say that. You know, humans started out by eating fruits, plants, insects. Then they scavenged bone marrow from bones and also brains from skulls, and eventually became some of the meanest, baddest hunters on the planet. Chris Kresser: Right, and that changed our physiology along the way, right? Chris Kresser: We went from having a much larger gut that was good for fermenting rough cellulose and carbohydrate to a much smaller gut and a bigger brain. Mat Lalonde: Yeah, so you look at the expensive tissue hypothesis, and then you know, I’m at Harvard, so I have to mention Richard Wrangham. Cooking also had a huge, huge part to play in that. Mat Lalonde: You know, when you cooked plant matter or meat, it became more easily digestible so your gut could get a little bit smaller and you got better nutrition as a result. If you look throughout history, you’ll see that food itself is a huge driver of evolution. You know, the availability of food has driven some major adaptations. And that’s another part where I didn’t ruffle some feathers, but I think I was misinterpreted during my seminar talk at AHS, where some people seemed to think that I was implying that adaptation was very quick. And I didn’t say that. I said that adaptation depended on time and pressure. And if the pressure is very high, then it can be very quick. So European herders becoming adapted to lactose, for example, would be a great example. Chris Kresser: Yeah, so let’s talk about genetics a little bit longer than we’ve talked about the last two, because I’m personally fascinated by genetics and epigenetics, and I think it’s a good example of where an argument that seems like it makes a lot of sense on the surface can go wrong once you start to understand more of the science behind it. Mat Lalonde: Absolutely, so that’s my third criticism, actually, if you want me to get that out of the way. Chris Kresser: Yeah, do that. Mat Lalonde: We’ll lump this into genetics and epigenetics because the third thing I hear a lot is our genes are virtually identical to those of our Paleolithic ancestors so we should live like they did. And this has to be the most ridiculous statement of them all because here is a group of people that claims to take an evolutionary approach to life, yet shows it does not understand evolution. Human beings and chimps have virtually identical genomes to the tune of 99.5%. The difference between a human being and a chimp is in gene expression in the epigenome. Just because two species have similar genes does not mean that they will both thrive in similar environments or with similar food sources. You know, one of the mechanisms through which adaptations arise is a change in gene expression. It would be absurd to suggest the epigenome of modern humans is identical to that of our Paleolithic ancestors, given the substantial changes in environment and food that have occurred since that era. Chris Kresser: Right, and this is what’s so interesting to me is that when we talk about the pace of change, epigenetic changes can happen very quickly. You know, we’re talking about pressure for genetic changes, and that can actually happen more quickly than most people think. You mentioned lactase persistence or ability to digest lactose into adulthood. Well, that’s happened, as you know, Mat, within the last 8000 years, which is actually pretty quick in terms of evolutionary history. Mat Lalonde: That’s the blink of an eye. Chris Kresser: A blink of an eye. So I know a study in 2007 where researchers looked at DNA from skeletons of people who died in northern or central Europe about 7000 to 8000 years ago, and there were zero, none of them had lactase persistence at that time. And then another study from the Bronze Age, about 3000 years ago, with a similar population found that about 25% had the allele for lactase persistence, and then today in some Scandinavian countries, I think, like Sweden and Denmark, lactase persistence has reached about 95% penetrance in the population. And the cow herding tribe, the Tutsi tribe in East Africa, I think, has about 90% lactase persistence. So that’s a huge genetic change in a short period of time, but even that period of time is incredibly long compared to how quickly some of these epigenetic changes can happen, right? Chris Kresser: — that always give birth to other fat yellow mice. And researchers gave these, they separated them into two groups, and one group was the control, and the other group they gave supplements that improved methylation, which we’ll talk about a little bit more in a second. And the group that got these methylation supplements, guess what? They didn’t give birth to fat yellow mice like you would expect them to. They gave birth to skinny brown mice instead. And the amazing thing is the genes were exactly the same in these babies. They were right where they were supposed to be, but the supplements had turned off or silenced the gene that makes these mice fat. Mat Lalonde: I have a picture of the mice side by side it you want to put it up with the podcast. Chris Kresser: Yeah, that would be great. Mat Lalonde: Yeah, I think they’re Agouti mice. Chris Kresser: Agouti mice, that’s exactly right. And so this process of genetic suppression, which is epigenetics, is called DNA methylation. And we’ve talked a little bit about methylation before, and I think I talked a lot about it on a show with Robb, but methylation occurs when a methyl group binds to a gene and changes the way it expresses itself. So this can happen… I mean, these changes are triggered by environmental factors. Some of the recent research suggests that even the first few days after conception some of these profound epigenetic changes are happening due to methylation, you know, turning genes on and off just in a matter of days after conception in the womb. So we can say that it does take often genetic changes a very long time to happen, but on the other end of the spectrum we’ve got these epigenetic changes that can happen in utero and during our lifetime. Mat Lalonde: And you know, since you mentioned that, there are a lot of people that now believe that genetics has nothing to do with obesity, and I highly disagree. If you imagine this happening in human beings, the plumper yellow mouse would be at a huge disadvantage from the start, relative to the lean darker mouse. Chris Kresser: Right, and then there’s the developmental origins hypothesis, which I’ve talked about before, where David Barker, a researcher in the UK, found that 20 years ago babies that are born at a very low birth weight are more likely to become obese and experience metabolic problems later in life because if this happened, for example, during in a hunter-gatherer population or during the Paleolithic and a baby was born into a time of scarcity and famine, they might experience epigenetic changes that made their metabolism more efficient at extracting calories and hoarding energy because that would help them survive in that environment. But today if you have a mother who is poorly nourished during gestation and that baby is born with that same thrifty metabolism into an environment where you can walk down to any corner and get unbelievably calorically dense food at any time you want, then that thrifty phenotype that helped that baby survive in a time of food scarcity would cause things like obesity and diabetes and heart disease today. What is the best scientifically backed argument for Paleo? Mat Lalonde: Absolutely. So there are a lot of people that have asked me: Well, what do you want me to say, then, if I want to use the evolutionary approach? And we haven’t talked about the antinutrient, but this sort of is a crossroads here. What do you say? And the statement I used in my talk, I said, you know, you could say this: There has been insufficient time and evolutionally pressure for complete adaptation to seed consumption arise in homosapiens. And I think about that today, and I’m like, well, you know, people might think that there could be complete adaptation. Let’s say you were to take a population and give them only wheat to eat, but unfortunately I don’t think that’s the case, because all evolution cares about is getting to the next generation. Mat Lalonde: And eating these foods will allow you to reach reproductive age. You know, if some people think that’s silly, it’s not. There are certain types of insects that live only long enough to reproduce, and then they die off, and then the next generation takes over. Chris Kresser: Right, and it wasn’t that long ago that humans didn’t survive on average that much longer than reproductive age due to acute illness. Mat Lalonde: That’s right, so the challenge right now is that we are trying to live for a very long time and very well and healthy, so we’re pushing the boundaries. Chris Kresser: Yeah. Like I said, this is so fascinating to me. What you just said about what we can say with some certainty really matches another quote that I recently read. I’ll have to look up the researchers that said this, but they said: Given the long human generation time and the fact that agriculture represents less than 1% of our evolutionary history, it’s unlikely that we’ve evolved any complex adaptations to an agricultural or industrial way of life. 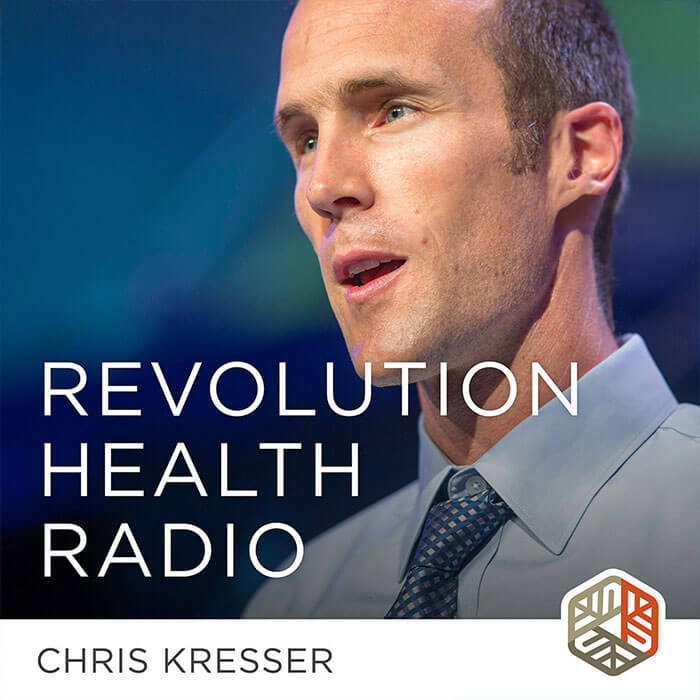 Chris Kresser: So that we’ve evolved some what might be called “shallow” adaptations or mutations, and some examples of this kind of rapid genetic change are the evolution of light skin in response to humans moving into northern climates or the changes in some genes or gene expression that regulate insulin metabolism in response to a higher carbohydrate diet. But those are relatively simple mutations. They’re not complex adaptations, which are characteristics that involve coordinated actions of many different genes together. Mat Lalonde: When you think about these two statements, what I like about it is that it’s pinpointing what think is a fact in that people who are adapted to grains and legumes or who not necessarily thrive, but survive on these foods are probably the minority. Mat Lalonde: They’re not the majority. Chris Kresser: Because there hasn’t been enough pressure, right, to make that a majority trait. Mat Lalonde: That’s right. Now, that’s very different than saying, well, nobody should eat this because we’ve never eaten these foods in the past. And it is a very different statement, and it forces people to think about themselves, which is what you do all the time. It’s like, OK, where do I sit on this spectrum? What do I tolerate and what do I not tolerate? Chris Kresser: Right, and that’s why I have a problem with this kind of argument. Let’s take dairy, which I know we’re gonna talk about when we talk about antinutrients, but one of the typical arguments you hear about why humans shouldn’t be eating dairy is that no other animal drinks the milk of another animal, right? So therefore, humans should not drink the milk of another animal. Well, as far as I know, no other animals are cooking their food either. Mat Lalonde: Yeah, and again it assumes that you can’t possibly discover a better source of food, right? It’s this ridiculous assumption that that can’t be the case. What if the milk of another animal is this great food that we haven’t tapped to in the past? Chris Kresser: Right. And there may be reasons to avoid dairy, which we’re gonna discuss, but that’s not the reason. Chris Kresser: OK, so let’s move into the antinutrients because I know you’ve done a lot of work on that, and I would really love to sort through the fact and fiction there. Mat Lalonde: Absolutely, and that was the second part of the talk. And there are some people who accused me of being really condescending during that talk, and I haven’t said this up until now for the sake of the community, but I’ll say it now because I don’t think it matters. But I had been giving a nutrition talk for a long time, and I’d been relying on antinutrient information that came from a talk that was given to me by Loren Cordain, and it turns out that most of the information that was in there that I never bothered to double check, I should’ve double checked, was wrong. And when I was standing up there and I was really condescending, that was to him. I was like: Listen, dude, we need to have a match right here, right now, because you have been putting out this information and it’s completely wrong, and I can discuss where the failings are. Chris Kresser: Yeah, let’s do that. I mean, that seems like it’d be a useful starting place, is figuring out, you know, what are the typical claims made about antinutrients, and which of those are right and which of those are wrong? Mat Lalonde: That’s right. So there are definitely proteins in grains, in legumes, and in dairy that are very immunogenic and/or allergenic, and those aren’t necessarily the same thing. And one of the biggest problems, or I should say maybe the most well studied, is the fact that there are peptides derived from the digestion of gliadin, which is a part of gluten, that increase intestinal permeability. And that increase in intestinal permeability can lead to a wide, a very wide variety of problems. So that is correct. We need more information. Probably, I would say, gluten and casein are some of the best studied peptides or proteins. There are other proteins in legumes that are known to be very allergenic, specifically soy, but people don’t seem to make as big of a fuss, and here I do mean allergenic, not necessarily immunogenic. Some of them are immunogenic, but the reaction tends to be allergenic. Like, people have an allergy to soy, for example. Chris Kresser: So, Mat, can you for some of our lay listeners explain what immunogenic means? Mat Lalonde: Yes, so it’s going to activate parts of the immune system, but it’s not going to activate immunoglobulin E, which would be responsible for an allergy, for example. So it will cause inflammation. It will cause some problems. It will activate the immune system but not necessarily lead to, for example, anaphylactic shock. Chris Kresser: So this is the difference between when we talk about food intolerances versus food allergies, or an allergy versus an intolerance. Mat Lalonde: Correct. So if you were trying to sell this lifestyle to someone and you needed something else other than — Because, again, there’s gonna be a continuum here, and there are gonna be plenty of people that are gonna tell you: Well, I have no problem with gluten and casein, so can I eat those things? And we’ve already discussed the whole paleo caveman arguments. What else can you say? Well, there are two to three things that come to mind for me. There’s meat, vegetables, tubers, and fruits are the most nutrient-dense foods. Anyone can look that up online. The food palatability/reward that Stephan Guyenet loves to talk about turns out that if you’re eating unprocessed meat, vegetables, tubers, and fruits, that’s very satiating because they contain fiber and fiber will deliver nutrients to the small intestine at the end of the small intestine and that triggers satiety, and they are also very unlikely to create cravings or trigger overconsumption. You know, you don’t hear anybody say: Yeah, I just ate 10 pounds of broccoli. Chris Kresser: Or sweet potatoes. Chris Kresser: So, Mat, let’s talk a little bit about phytic acid because this is something that’s received a lot of attention, and this is something that my view on has evolved since I first started writing about it and since I’ve learned more about it. So what are some of the truths about phytic acid and the risks of phytic acid, and what are some of the myths about phytic acid that you see in the paleo community? Mat Lalonde: Yeah, I think the misconception — and I’ll be honest, I had this misconception — is that consuming a food that contains phytic acid is going to steal nutrients away from you. But it turns out that that phytic acid in the food is most commonly bound to a metal ion already, so the phytic acid or phytates that are other derivatives — Phytic acid is myo-inositol hexaphosphate, but you can have pentaphosphate, tetraphosphate, and trisphosphate isomers that are also going to form various complexes with metal ions, precipitate them out of solution, and prevent their absorption. So what this stuff does, it just means that if you look at, say, the iron content of kale, well, you’re not going to absorb all the iron that you see because some of it is bound to phytic acid or phytates. Mat Lalonde: Exactly, unless you were to supplement with free phytic acid for some reason. Maybe if you have primary hemochromatosis, that would be beneficial for you. Chris Kresser: Iron overload. Yeah, I sometimes do that in patients that can’t get phlebotomy for some reason or another. Another interesting thing that, you know, you and I have corresponded about this via email and you sent me some interesting studies, is some of the foods, which, you know, we talk about phytic acid in nuts and in grains, but actually some of the foods that are highest in phytic acid are foods that are “safe” in the paleo diet, right? Mat Lalonde: Oh, yeah. Green leafy vegetables. Chris Kresser: I think, was spinach pretty high? All the green leafy ones, huh? Mat Lalonde: Yeah, spinach, purslane, kale. They’re very high not just in phytic acid but in other naturally occurring phytochemicals that will bind iron. So the polyphenols, for example, they can bind iron. What else? Oxalic acid. That can bind iron and other minerals. They are rich in tannins. Tannins can also do that. They’re rich in a variety of compounds that can bind minerals. So if you look at — I think I sent you this study where they were looking at the bioavailability, specifically of iron in this case, from plant sources versus animal sources. The animal sources were always better. Chris Kresser: Right. Yeah, heme iron, and it’s also much better absorbed, and that’s probably the main reason. Steve Wright: So, Chris, before we move on, in your nut article about phytic acid, you also talked about the fact that it could interfere with pepsin and amylase. Is that something that is still true even when the phytic acid is usually bound to an ion? Mat Lalonde: Maybe. It’s the phosphate group that fits into the active site of the enzyme. Maybe, but my guess is that is mostly with the free material. But it is known to inhibit some digestive enzymes. However, that was an in vitro study, so you would have to go look at the dose that was employed in that in vitro study and the amount of food you would have to consume to come anywhere close to that dose. Chris Kresser: To replicate that. Yeah. And what about cooking methods and phytic acid? Mat Lalonde: Yeah, that’s a good one. Well, soaking will get rid of some phytic acid. If you really want to get rid of it, though, fermentation is the way to go. Fermentation has been shown time and time again to improve the bioavailability of minerals when there’s phytic acid or phytates in the food, and that’s because they just cleave off the phosphate group and it leaves phosphate and myo-inositol. Phytic acid, by the way, is a self-fermentation system for the plant. You know how we add phosphorus to our crops? Well, the plant already has that, the seed already has that in it. Chris Kresser: Right, so I think this points to — I mean, this is a little bit of a tangent, but I think it’s relevant, is the danger of nutritionism that we can fall into. You know, like… I can’t believe I’m spacing on his name… Colin Campbell’s study that shows that casein causes cancer, you know? Isolated casein causes cancer, but when casein appears in dairy it also contains whey, which is anticarcinogenic. And bringing this back to phytate or phytic acid, just because a food has some potentially toxic effects, it doesn’t mean we can’t tolerate that food in some small amounts, and it’s all about the dose. You see this with a lot of things that we eat. In a food-based form they might be fine and not problematic, but then when you isolate them and turn them into a supplement and take them at high doses they become very problematic. Mat Lalonde: Yeah, and polyphenols would be one of those. Chris Kresser: I was just going to say resveratrol is a great example of that. Mat Lalonde: Yeah, there’s a U-curve associated with that, for sure. Chris Kresser: Yeah, with a lot of minerals and vitamins and nutrients, there’s that U-curve. I mean, iron is another good example. Iron deficiency anemia affects 2 billion people worldwide, and it’s a huge problem, but iron overload is also a really big problem, and it’s one that is a lot less known and I see a lot in my practice. That’s actually gonna be the subject of my talk at AHS this year. Mat Lalonde: Yeah. You know, before I forget, on the subject of phytic acid we started talking about cancer. There are some studies out there that you can find that those compounds are toxic to cancer cells. However, again, be careful. Those studies are in vitro. You would then have to run a study where a human being is consuming this compound, phytic acid, see how much of it can actually get in the bloodstream, bioaccumulate in the tumor in the proper concentration that was used in that study to then kill a cell, and in my frank opinion, this is never going to happen. This will never be used as an anticancer drug because there are so many other detrimental effects associated with too much phytic acid that it’s nonsense. So the people that defend phytic acid using those studies, I’m sorry, I don’t buy it. Steve Wright: Before we roll on here, guys. Let me see if I can summarize this phytic acid and then ask one more question for those of us who aren’t as deep into the research and the chemistry as you guys are. So, you’re telling us that phytic acid is normal to most plants and that it’s actually usually bound and the majority of it’s bound to a mineral already, and that unless we were actually taking it already separated, it’s not actually gonna leach anything, and therefore are you actually saying that we shouldn’t worry about this anymore, that it’s not gonna hurt us just because it’s inside of a plant? Mat Lalonde: There are bigger fish to fry. No, you should not be worrying about this, in my opinion. Chris Kresser: But it does mean that if you were figuring that you were going to absorb a lot of nutrients from oats, for example, or brown rice, you may not be absorbing as much as you thought you would be because of the phytic acid content, unless you ferment them or prepare them extensively beforehand. Mat Lalonde: A bomb calorimeter, yeah. Steve Wright: So we’re not gonna be getting all of the magnesium or all of the minerals that are said on these supposed superfoods. Mat Lalonde: No. You should see the way that they determine that. You know, they just burn the compound. They do an elemental analysis and determine that there’s this much iron in it. There’s no way that you’re going to absorb all of that. It’s not going to happen. Whether it’s meat or plant matter, you know, animal or plant matter, you’re never going to absorb everything. Chris Kresser: So, Mat, let’s talk about white potatoes. Mat Lalonde: Oh, yeah! That’s another one of my favorite, and you know, this one fits this “Well, it wasn’t available before the advent of agriculture, so we probably be shouldn’t be eating it,” again assuming that we cannot find a better source of food compared to what was in the Paleolithic. And this is another one where I covered it at length in my AHS talk, showing the actual molecular structures of these molecules. So some of them are glycosides. They’re either terpene glycosides or they’re alkaloid glycosides. So they’re called saponins or glycoalkaloids, and Cordain makes this huge, huge deal about them, saying that they cause intestinal permeability and whatnot. If you look at those permeability studies, they are all in vitro. And my problem with them is that if you’re a chemist and you look at these substances. They’re like, wow, there are glycoside bonds all over the place. This is gonna fall apart during digestion. Sure enough, it does. Sometimes you can find certain metabolites of it in the bloodstream, but you rarely find that compound itself. It has never been shown in a human being that consuming a lot of this stuff is going to increase intestinal permeability. The only studies that I find where this stuff can be problematic is where they use mice models of intestinal bowel disease, where there’s some kind of genetic manipulation that was done, and they feed those mice models fried potato skins ad libitum. And they’re fried in polyunsaturated oils, by the way. Chris Kresser: Right, so you take the part of the tuber that has the highest concentration of toxins, which is the skin, and then you fry it in seed oil. Mat Lalonde: Yeah, in a mouse model of IBD. And if you do that, you see inflammation, biomarkers of inflammation increase. So if, and this is a big if, that translates to human beings, all you’d be able to say is that people with irritable bowel disease should not be eating fried potato skins ad libitum. If you think that’s a ridiculous statement, you’re right. Mat Lalonde: And if you look at the potatoes — I think Stephan Guyenet had a really good post on that — there’s only one species that has a significant amount of these saponins in the flesh, and it’s the Snowden potato. And it turns out the Snowden is not available on the shelves. It goes directly to making potato chips. Chris Kresser: Right. Fried in polyunsaturated fat. Mat Lalonde: That’s right. So if you look at a potato, it has a decent amount of nutrient density. It actually has complete protein for plant matter. That’s important to vegetarians. The same is true of the sweet potato varieties, even though they’re completely different. I know that they’re not the same species. It’s actually good food, and it’s just starch, which will decompose into glucose. There’s no fructose there. So I don’t see the problem. Like, have your potatoes. Just don’t eat the skin if you’re worried about it. But the people that make a big fuss about that, again, I think you’re losing some credibility here because people are, like, really? Are you serious? Chris Kresser: Yeah, and of course, we want to be clear here. That doesn’t mean that there may not be other reasons not to eat potatoes. Like, for example, some people are sensitive to nightshades and they just don’t do well with potatoes, but that’s a far cry from saying that nobody should eat them. Mat Lalonde: Exactly, and that’s an individual thing. There was a really good post on Robb’s site about the woman that was doing the interviews at the last AHS. After the whole conference went down, she figured out that she had a huge nightshade sensitivity. It caused a condition, the name of which I can’t remember or pronounce even if it was in front of me, but she was essentially getting pustules, I think, in genital regions as well as underneath the arms that are very, very sensitive, and she found out that nightshades were causing it. Chris Kresser: Yeah, so again, it’s this question of what can the research say? What’s a good starting place? And then, what are individual tweaks that we might need to make based on our own unique epigenetic phenotype? Mat Lalonde: Yeah. You want to talk about lectins? Chris Kresser: Yeah, lectins, of course. That’s the main one we haven’t talked about. Mat Lalonde: Yeah, I think, of all of them, that’s the one I was most upset about. And that’s where I started making myself sort of a matrix for analyzing antinutrients, and I presented this at the AHS talk, and you can go back and look at the slides. But there are these 10 questions that I ask myself to determine whether or not this thing’s going to be problematic. And if you look at lectins, they fill out, you know, they get a check on almost every question. Like, yes, this is gonna be problematic, save for one. One thing you should ask yourself: Is this going to survive the cooking process? Another question is, Is it gonna survive digestion? But in this case, it turns out that most lectins, especially the most well-studied ones like wheat germ agglutinin, PHA, which is in legumes, which is phytohaemagglutinin, they are deactivated by heat. These proteins are very sensitive to heat, and they’re destroyed. So people waving their hands in the air like, “Oh my God, these things are really toxic!” and whatnot. And it’s true. They are very toxic. We have the research to show that they are toxic in animals in vitro when they’re fed to animals, but it turns out that they’re feeding raw legumes or pure isolated proteins to these things, not cooked food. Chris Kresser: Right. Most people aren’t eating wheat right off the stalk, right? Mat Lalonde: You can’t! You can’t. Literally you cannot. So yeah, I was very upset with that. It turns out that, yeah, indeed, they could be very problematic, but they’re destroyed during the cooking process, and you can’t eat grains or legumes without cooking them. Improperly cooked legumes are going to make you very sick. You’re gonna have some serious GI distress, and it is probably due to the lectin, but that doesn’t mean that it actually does get in the bloodstream and cause problems. However, this is something that we should look at on a case-by-case basis. There are some lectins that are not deactivated by heat that do survive digestion, make their way into the bloodstream, and are likely very allergenic, and one of those is peanut lectin. And that research has been done. If you have people eat raw or roasted peanuts and you look at the level of lectin that goes into their blood within one hour of consuming those peanuts, you see the lectin levels rise. So there are some that are dangerous, but you should not assume that an entire class of chemicals is…that all of them are dangerous if they haven’t been individually tested. Mat Lalonde: And the reason that is is because when it comes to drug development, and I did work for a few pharmaceutical companies, you can change a minute, like, a tiny part of a molecule and completely change its activity. So for me, unless you know that there’s some serious sequence homology here, you can’t assume that the proteins are all going to be problematic because they’re in the same family. Chris Kresser: Fascinating stuff. I love it. Steve Wright: So, summary: Don’t eat peanuts? Chris Kresser: We could probably say they’re the most likely to cause reaction, and so if you eat them and you have any reason to suspect that you’re reacting, you know, pay close attention. A lot of this stuff boils down to, like we’ve been saying all along, using this information to then test it out yourself and see how you do. And there are certain foods that I think it’s pretty safe to say should just be avoided because they have no nutritional benefit, they’re full of antinutrients or toxins, and there’s no reason to eat them, because there are other better choices to make. And then there are foods like meat and vegetables and fruits and tubers that are very well tolerated, very nutrient-dense, have been eaten by humans for thousands of generations, and are probably for most people, you know, a really solid choice. And then there’s a whole bunch of foods that are in what we might call a gray area, you know, like, dairy being the biggest category, where they are certainly nutrient-dense and have a lot to offer if they’re well-tolerated by the individual. And that’s, of course, the whole concept behind Beyond Paleo and the Personal Paleo Code, is nobody can answer that question for you. There’s no magic questionnaire or blood type test or whatever kind of test that can tell you exactly what you can and can’t eat. The only way that you can figure that out is through experimentation. Mat Lalonde: The fat. Or the whey, because I have yet to see any problems with whey. Maybe you have. But I’d say the fat and the whey are probably the best components of dairy. Mat Lalonde: Well, it’s concentrated casein, right? Because the whey is gone. Chris Kresser: And then fermentation — Actually, have you seen anything on this, Mat? I never have, what fermentation does to casein, if anything? Mat Lalonde: It can begin the digestion process a little bit, but there might still be some problematic epitopes left in there. Chris Kresser: So we could say possibly that fermentation might improve tolerance of dairy for people that are casein-intolerant, but probably not completely. Mat Lalonde: No. I wouldn’t say completely. Steve Wright: So, Mat, I want to just ask you something that kind of ties the two parts of the show together, based on something you said a little bit earlier in the first part of the show. In the first part, we talked about evolution and epigenetics and how there hasn’t been sufficient time yet for adaptation, and you said something about surviving and thriving for some people on seeds. Now we’ve talked about all the potential antinutrients, and so I want to ask you, you said there’s a sliding scale here and we may fall on any part of this scale. Is there a group of people who actually fall on the thriving part of the scale for seeds? Mat Lalonde: I could be completely wrong here, but I like to think of things in a — you know, I’m a scientist — like, in a mathematical, bell-curve kind of way, and I imagine, I see this as a bell curve and most people are intolerant, but there are probably a few people on the fringe that, yeah, that exist right now that could thrive on this. They probably exist. Chris Kresser: Yeah, and they’re more likely from the Middle East somewhere because agriculture has existed there for longer than it has anywhere else, and there’s been the most pressure and time for them to adapt. So, yeah, I would agree with Mat, and I would say that probably getting to the point where we thrive on grains is a complex adaptation rather than a simple adaptation. I mean, it would involve more than one mutation and change, and so it’s more likely that that would take a longer period of time and wouldn’t be as prevalent in the population yet. Mat Lalonde: And I don’t think that’s something that would be desirable, because grain agriculture is not sustainable, and then, you know, you’d have to develop all kinds of extra protein-chomping machinery because plant protein is typically more difficult to digest than animal protein. And we’d have to be very economical with recycling of nutrients and whatnot, because that stuff is — If you look at wheat, grains in general, the nutritional content is low. Chris Kresser: Yeah. It’s not a nutrient-dense food, and it’s particularly less nutrient-dense because, as you pointed out, the topsoil is becoming more and more depleted in nutrients and we only have, by some estimates, like, 50 years of topsoil left if we keep this up. Mat Lalonde: Yeah, the problem is that with the fertilizer we’re only adding in potassium, well, NPK, right? Nitrogen, potassium, and phosphorus. And there’s like 20, 30 other minerals that could be added to the soil that are just being depleted. Magnesium is one of them that keeps being depleted, so yeah, that is a big problem. Steve Wright: So are you both saying that we should buy the fact that are fruits and vegetables definitely have less nutrients than what they had even 50 years ago? Chris Kresser: I buy that. Mat Lalonde: Depending on where they’re grown, that’s a possibility, yes. Chris Kresser: I mean, it’s not a big stretch to understand that the nutrients in fruits and vegetables depend heavily on the soil that they’re grown in, and it’s pretty well known that there have been big changes in the soil and that a monocrop kind of situation is gonna produce very different soil characteristics than a sort of small organic farm. OK, so we’re getting close to the end of the hour here. We have, of course, you know, 92 questions that people submitted for Mat because he’s an extremely popular guest and everyone wants to hear what he thinks about this stuff, so we’re obviously not going to get to those questions. But I picked a few, and I’m gonna pull this up and see. We won’t even be able to answer all of the ones I picked, so let’s start with the one from Allie, Steve. Is slow, low cooking the ultimate way to cook? Chris Kresser: Eight hours later! Mat Lalonde: That’s right, eight hours later. Like, wow! That was fun! A lot of the studies I’ve read have specifically dealt with digestibility, and with digestibility, yes, it makes a big difference. Slow cooking is always going to lead to a more easily digestible piece of food, cooking in general. So charring is bad, and then charring is also bad because you can oxidize some of the sensitive compounds that are in the food that you eat. So from an oxidation standpoint and a digestibility standpoint, cooking does really seem to be the way to go. I found that that was a head-scratcher because you’ve got this, you know, the raw food vegan movement being very popular right now, and they’re talking about enzymes and this and that, and the research doesn’t support it. And I’ll tell you right now enzymes that are in food, they’re probably sensitive. And if you heat that, they might… If you EAT that, sorry, not HEAT that. But if you eat that, they might be destroyed during the digestion process, so I’m not sure to what extent they can be beneficial. I could be wrong on that, but nevertheless, the research doesn’t support the raw thing. Chris Kresser: Bury it in the ground, right? Mat Lalonde: Yeah, bury it in the ground. So it’s not always directly on fire. Steve Wright: So, is there any reason to eat, like, raw meat then? Or always cook it? Mat Lalonde: You know what? I did that for a while. I didn’t see any benefit from it. And then I did some research and it was shown that it was less digestible than the stuff that was slow cooked. And of course, if you don’t want to get sick from some pretty nasty pathogens, it’s probably best if you cook your meat. Chris Kresser: Yeah. You know, Stephan Guyenet sent me a stack of about nine papers on cooking temperature, and I, to be honest, haven’t had a chance to get to them yet. I’ve read all the abstracts, and Stephan has actually written quite a bit about this, and he’s pretty convinced that low temperature is the way to go. This is one of those things that falls into the category of… I don’t obsess over it. I think the research seems to indicate that slow cooking is probably better in terms of absorption, like Mat has said, and that really high temperature cooking and charring is potentially problematic and potentially carcinogenic due to the oxidative damage that can occur. But for me personally, that doesn’t mean that I will never eat something that comes off of a grill. It just means that that’s not my primary cooking method. You know, I don’t cook every meal on a grill. A couple times a week I’ll get out there and grill up a ribeye steak. I love that! And you’d have to pry that out of my cold, dead hands! Chris Kresser: So I’m not gonna give that up, because I think that in the context of an overall healthy diet that’s low in things that promote oxidative damage, that we can tolerate that. We can tolerate some of these stressors, and perhaps they even have a hormetic effect. Who knows? Mat Lalonde: Now, Allie gives a specific temperature, 350, and I’d have to ask, well, how long? Was there any visible darkening, charring? That temperature might not necessarily be bad. But to get back to what you were saying, Chris, I was very skeptical of the AGEs hypothesis from an exogenous standpoint, meaning if you eat it as opposed to if it forms in your body. If it forms in your body because of excess glucose levels or metabolites of glucose, then yes, it’s bad. But eating it, I was like really? This stuff’s going through digestion. Is it really gonna get into the bloodstream? But there is one, that I know of, randomized controlled trial that came out where the people were eating the exact same food. The only thing that differed was the cooking temperature. And the people that consumed that food that was cooked at the lower temperatures had better insulin sensitivity. So I was like, OK.
Chris Kresser: So, Steve, let’s go down to Andy, and then we’ll do Jennifer, the second question, and that’ll be it. Chris Kresser: Yeah, everyone wants to know that. Mat Lalonde: Well, Chris, maybe you can start on this one if you want. Chris Kresser: I’ll start, but I won’t get very far. The lab he’s talking about, by the way, is Cyrex Labs, and this is a lab that does, I think, really excellent gluten sensitivity testing and some other really fascinating autoimmune markers that they have. And they have a panel there for people that already know they have gluten intolerance that looks at what other foods they might be cross reacting with. And according to their — You know, this is not published, peer-reviewed research, but according to their internal research, meaning they’ve looked at all of the test results for this particular cross reaction panel, and the most common food that people with gluten intolerance cross react to, according to their test results, is coffee. And so, a lot of people have asked me: Does that mean if I’m gluten intolerant I shouldn’t drink coffee? And I don’t think we can make that jump. I mean, that’s interesting evidence, but of course, there’s nothing there that explains the mechanism. This hasn’t been shown in a clinical trial. There’s not even epidemiological evidence here that suggests this. Mat Lalonde: What kind of assay is that, Chris? It is an antibody assay? Chris Kresser: Yeah, it is. Chris Kresser: Right, IgE allergy. Yeah. So, this is something that I think I’m gonna have to say we’ll get…at least, speaking personally, I’ll get back to you on it because I need to look into it further. From a very practical perspective, I don’t know how important it is, because still my response to this, in terms of how I work with patients, is take it out for a month, and add it back in, and see what happens! Because at the end of the day, that’s really what it comes down to. I have a number of patients who have come to me with, you know, they’ve had testing at other labs that suggests that they’re casein-intolerant, and I don’t even necessarily trust those tests. I say, well, take out dairy completely for 30 days, and then add it back in starting with ghee, which is technically casein and lactose-free. Then add butter, which is almost casein and lactose-free. You know, and I go down the list and see what happens. And to me, that’s still the gold standard for determining what you “cross react” to more than any lab panel. The lab panel might be able to give you ideas, and it could be useful from that perspective, but I still want to see people remove and reintroduce, and as far as I understand, that’s still the gold standard that the top people working in food allergy and immunology use. Mat Lalonde: And you know a question I would have is the presence of antibodies toward components of coffee — I’m not sure. It’s probably a protein or something like that. Is that due to the fact that there is intestinal permeability because of the gluten intolerance in the first place? Chris Kresser: Is it cause or effect? Mat Lalonde: That’s right. Is it secondary? Chris Kresser: Yeah, we could say that about any of those cross reactive proteins. So my advice there would be if you’re gluten intolerant, you’re drinking coffee, and you’re not feeling good, take the coffee out for 30 days. You will survive. I don’t think anyone’s died from that yet, as far as I know! It can brutal, but you’ll survive. And then add it back in and see what happens. Steve Wright: And the last thing that I would add is not all coffee is created equal, so try several different kinds. Chris Kresser: So let’s do… This is Jennifer from Facebook. Sorry to steal your thunder here, Steve, but I’m gonna modify this question a little bit. Chris Kresser: So, this is something we didn’t talk about, Mat, directly at least, but let’s briefly talk about pseudograins. Mat Lalonde: Pseudocereals, yeah. So people will know, grains are the seeds of grasses; whereas, pseudocereals are the seeds of broadleaf plants. But they’re all seeds. And again, if you look at the nutrient density of them, it’s fairly low. And a lot of people say, “Oh, quinoa is a good source of protein.” Again, if you look at the protein content, there’s protein there, but the bioavailability of that protein is not as high as the bioavailability of protein in animal products, again because of digestion. Well, digestion in this case, less absorption. So it’s one of those things where if you tolerate it, can you have some? Sure. Should it be the bulk of your diet? No, absolutely not. Whether you’re a vegetarian or not. If you’re a vegetarian, you’re looking for calories, go get some of those calories in some healthy fats like avocados, coconut, and then go get yourself some potatoes and sweet potatoes for some protein and carbohydrate. But the quinoa… All of those things are going to be far more nutrient-dense than the quinoa. Chris Kresser: And it’s important to point out here that groups like the Weston A. Price Foundation have been talking about this for a while, that all cultures that ate these kind of seeds as a regular part of their diet went through extensive preparation methods to do so. Mat Lalonde: Yes, [indiscernible], fermentation, yeah. Chris Kresser: There’s no traditional group that ate unfermented, unprepared grains as a regular part of their diet, period, that we know of. So it you’re gonna eat quinoa, if you’re gonna eat millet or amaranth or any other grain, for that matter, make sure to prepare it properly, and there are different… Because of the amount of phytase in some… For example, if you’re trying to reduce the phytic acid content and make some of the minerals more bioavailable in these grains, the amount of time or the extensiveness of the preparation that you have to go through depends to some extent on how much phytase is present in the grain. So certain grains will need much more preparation than others in order to reduce the phytic acid content. Oats, for example, happen to need a lot of preparation, as does brown rice. Whereas, something like buckwheat has a significant amount of phytase in it and may not need as much preparation as the brown rice and the oats. Because you’re dealing with toxins and you’re dealing with — I know you’ve talked about this, Mat — Plants, there’s a reason that they have these things in them. Plants, like any other living thing, need to survive. And in a natural environment, you know, humans and other mammals can run away from predators. Plants cannot. They’re just sitting there in the ground. So they had to develop other defense mechanisms, and these are these defense mechanisms. Mat Lalonde: And that’s one of the reasons why they’re also more difficult to digest. Chris Kresser: Exactly, because one of the ways that seeds get spread around is in poop. So if a mammal eats the seed, it’s in the seed’s best interest not to be completely digested, right? So it can pass out in the stool into a new place and spread itself around. Our ancestors knew this intuitively. They obviously weren’t doing any studies on it, but they figured it out through trial and error, and they always went through great lengths to prepare these. So, from my perspective, and I think this is what you were getting at, Mat, I’d much rather just throw a sweet potato in the oven and not go through all this trouble. Chris Kresser: But if people want to do that, I have no problem with that, and I think that you can’t really make a solid scientific argument against doing it if they’re gonna go through all the extensive preparation. But even after that, the amount of nutrients that are available from that food is still gonna be less than all of the other foods that we’ve talked about as the basis of a paleo diet. Chris Kresser: All right. We did it! Mat, thank you so much for coming on the show. It was a pleasure to have you. Mat Lalonde: It’s a pleasure always, Chris, in all seriousness. I do listen to the podcast every time it comes around, and you know, I don’t have that much time in a day, but this is one of the podcasts that I take the time to listen to. Chris Kresser: Well, I appreciate that, and I appreciate you busting my chops when I need it and even calling me a dirt-worshiping hippie at times. Chris Kresser: Term of endearment. I interpret it that way. So I look forward to meeting you at AHS, by the way, in your backyard. Steve Wright: Yeah, Mat, if anybody wants to get more of your information or more of your talks, where can they find you? Mat Lalonde: They can’t, actually. Well, that’s not necessarily true. I do have a talk online right now through the OPT website, Optimum Performance Training. It’s a little dated, and actually a lot of the stuff that we talked about here is still in there, so you can see me make all the mistakes. And I learn from my mistakes, and I’m very honest about that, and when I make mistakes, I correct them. I’m not the type that will refuse to change just because I don’t want to be wrong. That’s not me. But it is on there, and we’ll record a new one shortly that should be more complete and to the point. But that’s where they can find some information. Aside from that, I post some stuff on Facebook, but I’m not a huge blogger. I don’t have a blog. I don’t have a podcast or anything like that. Chris Kresser: Mat’s got a real job. He’s got other stuff to do! Steve Wright: He’s like the FBI. He just swoops in and lays down the law and then gets out. Chris Kresser: I’m glad we have folks like Mat that are spending their time reading the literature, researching, and doing that kind of stuff instead of posting on Facebook all day. We can go ask Mat when we need some clarification. Mat Lalonde: Just don’t do it on my Facebook page! Steve Wright: Awesome. Well, we want to thank everyone for listening today. Please keep sending us your questions at ChrisKresser.com. And if you enjoyed the show, please head over to iTunes and leave us a review. Hi Chris! I wanted to ask for some advise re: paleo. I’ve been paleo for years (I occasionally fall off the wagon but I never eat gluten, I have been gluten-free for over 20 years). I have a 3 year old daughter who has always been paleo, and was breastfed until 33 months. I’m worried what if she has gluten or peanut allergy and we don’t even know about it, as she’s never been exposed to these foods. I was just reading an article about exposing paleo children to peanuts and gluten (https://paleoleap.com/early-exposure-and-food-allergies/) just so they don’t develop an allergy in case they come into contact with these foods say, in a restaurant, or – despite our best efforts – they decide that they want to eat them when they are older. However, this article talks about exposure when they are babies, in order to prevent allergies, and we clearly missed this boat… What would you recommend? Thank you! Well, I’m on the side of Loren Cordain, not because I have any educational qualifications, but because a strict Paleo diet cures my IBS symptoms, totally. I believe a great many people have been helped by Loren Cordain, because there is nothing intuitive about a a low-antinutrient diet. There is no way I would have figured all this out on my own. I’m very grateful to the trailblazers who stick their necks out. How many instances has science been on the fringes, but becomes mainstream decades later? Where is the proof that Loren Cordain is wrong? He has admitted himself in his writings that his theories are largely circumstantial or done in the lab. There are studies on whether IBS is a low level autoimmune disease or autoinflammatory disease. If wheat causes Celiac disease, then isn’t it possible wheat and other antinutrients are the cause of all other autoimmune disease as well? Does it really sit well with the detractors that we still haven’t come up with a cause for autoimmunity in general? The paleo diet works for a great number of people and is hugely popular. People wouldn’t stick with this diet if it didn’t work, because it’s very tough. If someone wants to argue with Loren Cordain let them explain why the diet works so well for conditions ranging from IBS to inflammatory bowel disease. Do you have links to any of the empirical evidence for your claims? I’m really interested in these arguments, but would like to do some reading of the primary sources. Thanks! Whoops I forgot to hit the notify buttons to make sure I get your reply! I did it for this post so hopefully I’ll be notified! Important note: IBD is not irritable bowel disease. IBS = irritable bowel syndrome; IBD = inflammatory bowel disease. I understand that this was probably just a slip-up but there are major differences between the conditions (IBD almost always requires surgery–even up to the point of removing the entire colon, whereas IBS almost never requires any surgical intervention, for example). IBD can also cause strictures, fistulae, obstructions, nutrient deficiencies, growth failure, arthritis, skin and eye problems, severe fatigue, etc. etc., that IBS does not cause. In the IBD community this is a big point of contention because people often confuse the two conditions and think those with IBD are being over-dramatic to a bit of tummy upset. To eat more or to eat less? I agree with the idea that some of us have adapted already to some elements of a variant diet, such as a diet including milk, etc, and that therefore for some of us, a variant on the paleo diet would be better. One comment asked ‘how do I know what to eat?’ A good question, now while the idea of trial and error is a good one, I would suggest that the starting point should always be the question ‘what did my ancestors eat?’ I would start doing a bit of research into what the diet for the average person, where your ancestors lived, looked like just prior to the industrial revolution. That will likely give you ideas as to what your personal system might be adapted to. So for me personally, that means the diet of a German Villager. So foods like pickled cabbage, pork lard instead of butter on bread, heavy breads like pumpernickel, rollmops (pickled herrings), camomile tea (taken every spring), occasional feast days when baked treats are eaten, bit none at all the rest of the year (cake and biscuits at Easter, Christmas and birthdays), slow roasted meats. No pasta, minimal tubers (potatoes) more turnips, carrots and other root vegetables etc etc… On such a diet my ancestors lived well and healthily. But alongside this it must be acknowledged that regular background physical work was undertaken, and this likely had a big effect on health. So my ancestors walked most everywhere they needed to go, they washed linen by hand, etc. all good workouts. So if I don’t fix the activity levels, how can I expect the diet to be healthy for me. For a sedentary person who doesn’t take exercise, it might be necessary to reduce saturated fat consumption. It’s no good blindly saying that lard spread on the bread will be fine for me because it was fine for my ancestors if the rest of my life doesn’t look like theirs. that’s the key I think, interrogate the past by all means, but intelligently question where the differences are and adjust the balance accordingly. Actually the increase in meat intake from hominine diet implied a changing in gut as you pointed out and we turned into another species. We became another species just changing the meat intake…but becoming adapted to thrive on cereal grains, that are the food for birds which branch diverged from the mammals line 65 million of years ago is another thing…the non specific food has got N problems that can hardly be removed completely by technology. And body evidence say that we are almost the same as in the paleolithic, with exception of some crude atrempts to adapt in someway, far from being the proof of a complete adaptation that could allow us to thrive on food that would require multiple considerable features that only a new different species could achieve, far different from us and hardly possible to reach quickly from our state…look at the panda bear, despite more tham 7 millions of years it seems that he never completed a full adaptation to his new diet…Dear Mat, how can you respond to this? Two of the longest lifespan populations would find the paleo fixation rather irrelevant. The traditional Okinawans (only minute amounts of animal products consumed) and the American 7th-day adventist vegetarians. If longevity is the goal, then you might be better off studying these groups instead of paleolithic man. Neither group shuns legumes and unfermented soy, and neither should you. You are exactly right, Dave. And there are other examples of healthy, long living cultures that did very well following a diet of more than 85% of calories from whole plant-based foods with very little, if any, animal products. I do not know who these ancestors were that ate meat and did not have any disease. Very old mummies showed heart disease and other results of being rich and living like royalty. Seems like many like to speculate with theories rather than studying existing cultures alive today. Thanks for this well thought out podcast. I had a follow-up question about oatmeal – do the anti-nutrient chemicals contribute to gut irritation and spike insulin, as most paleo-types claim? Or is it anecdotal and the epidemiological work purely invitro? It is mentioned that leafy greens have a lot of phytic acid. Is there something that can be done to prepare them so that more of the nutrients are available? They are so nutrient dense that even with the phytic acid you’ll still absorb a substantial amount. Also, phytic acid only inhibits the absorption of certain minerals (i.e. zinc & iron, but not selenium) and doesn’t appear to have a significant effect on most vitamins. The audio clip for this podcast seems to be lost. I encountered server problem. Firstly, I think the bit about the coffee causing some sort of immune reaction in people with gluten issues seems to be true for me. I quit coffee awhile ago, but then tried to add in the occasional cup of decaf. It seemed to cause brain fog and sluggishness for me. Such a bummer, I miss coffee! Secondly, it is so true that there isn’t one cookie cutter diet for everyone to go on. I was put on a paleo-ish diet (the RepairVite diet) awhile back by my doc, and it was brilliant, because it is the main reason I’ve healed as much as I have, but I’ve managed to adjust it to suit my own needs. It turns out I do fine with things forbidden on the diet like eggs, bits of dark chocolate, and goat and sheep milk products. I started eating all of them because I was craving them all the sudden. I’ve leaned to listen to my body and obey! I think that is so, so very important in all of this. Thanks to all of you for all the wonderful information. A little off topic, but have you seen the article in Nature Science “Vitamin E decreases bone mass by stimulating osteoclast fusion”? If so, what do you think of it? Great post, thank you for all of your research and hard work. I just want to clarify, are sweet potatoes truly a “complete” protein? Based on the Institute of Medicine’s Food and Nutrition Board standards, it seems they are too low in lysine by about 8mg per gram of protein (they should have at least 51 mg per gram, but have about 42, according to USDA nutrient database). I wondered if maybe Mat was using different standards? I know this was just a minor detail in the post, but relates to some work I’m doing, so I thought I’d ask. I like Mat LaLonde & he’s completely right about the epigenetics gene expression but to say that our genome is identical to that of a chimpanzee to the tune of 99.5% is inaccurate & misleading. First off, we’re 94% the same & second, the same isn’t identical. We have human versions of that 94% & chimps have chimpanzee versions of those genes. I’m late to comment, but I love podcasts like this, with two science-based people basing their discussion on actual science, rather than the hearsay in the blogposphere. One thing that alarmed me, though, was the explanation that phytic acids in green, leafy veggies binds to the minerals, making them far less absorbable than the values in the USDA nutrient database would lead one to believe.Of particular concern to me is spinach, a staple in my diet. I’d long known that the iron in it was largely unavailable due to the high oxalate content, but should in infer that all of its electrolyte minerals — Ca, Mg, K, and Na— are largely unavailable? Great podcast – best one yet in my opinion. Mat, can you post the study in the comments showing exogenous AGEs appeared in humans after consumption? Is there any graph or study showing the u shape benefit of taking supplemental resveratrol? Whats the upper limit? Similarly, anyone have any info what potato variety has the most/least toxic saponins in the skin (aside from Snowden)? I’m partial to the Okinawan Purple Sweet Potato. Here’s a good podcast episode on nightshades! Great Podcast. I am interested in a response Ray’s comment (Ray June 13, 2012 at 2:36 pm) regarding lectins and cooking. I also found and read that 1980 paper on Lectins and after I studied it, I thought given the small sample of foodstuffs that this paper considered…yet that those researchers found that much blood cell reactivity…the chronic, widespread exposure to these foods can’t be good. Who will fund the next meaningful double blind (with controls) study taking a closer look at lectins in foods we eat (well, not me, been paleo strong for a while now–never looking back)? One thing that resonated with me, was the statement in that 1980 paper: “Considering the vast and varied biological activities that lectins can effect it is surprising that there exists such a paucity of studies related to the nutritional consequences of dietary lectins. The reasons for the experimental gap are obscure but may, in part, be due to a lack of awareness within the medical community of which foods in our diet contain lectin activity and the extent of exposure” (Lectins in the US Diet: a survey of lectins in commonly consumed foods and a review of the literature; Martin S. Nachbar, M.D. and Joel D. Oppenheim, Ph.D). who can guess what the reasons are for this “paucity” of studies? It’s my understanding (from a friend who owns a potato farm) that responsible potato farmers have to run tests on their crops before sending them to market to make sure they’re safe because every once in a while the potatoes will over produce their toxins and can become very toxic. I’m very curious about this coffee/GF thing mentioned at the end of the podcast. In mentioning about gluten insensitivity, you said to take coffee out of the diet. My question is, how would this be applicable if one was drinking regular black coffee, without added sweeteners of any sort and without a dairy-based creamer of any kind (milk, coconut milk, powdered creamer, etc.). Is there still a potential for cross-reactivity at that point? As I understand it, regular ground coffee would be absent of gluten, but I may be wrong. Thanks for this podcast. For a long time I tell people that they should eat no grains. I point out to them that cereal grains are not a good source of vitamins and minerals. Also I mention the high omega-6 content. alkylresorcinols, alpha-amylase inhibitors, protease inhibitors. I emphasize the danger of gluten and lectins. From the podcast I understand that lectins (after cooking) do not form the danger. I understand that you also against cereal grains. What exactly is your motivation? Hi Chris, maybe you can help me with some leads.. I have a friend that has a serious iron absorption problem. Its seems she has has it for a long time but was just diagnosticated recently. Strange part is that she is a good triathlete so doctors dont understand how she can have such a high performance with this nutritional deficit. What food intolerance could trigger such a problem? (Iron absortions) Any other cause you can think? There are two primary causes of iron deficiency: inadequate intake/absorption and blood loss. Check for G.I. or heavy menstrual bleeding. If iron intake is adequate, look at low stomach acid as a potential cause of poor absorption. I’ve also found that people who are severely iron deficient have to get their levels above a certain threshold (i.e. ferritin of about 35-40 and iron saturation of 20-25 for women) before it will maintain. I love listening to the podcast and was excited to hear Mat was the guest. I was left a little confused though. From what Mat is saying, Paleo/Primal/PHD is pretty worthless. Sure nutrient dense is the way to go for him but the foods most of us abstain from are fine in his book, just not optimal. What keeps replaying in my mind is all the stories of those that had medical problems disappear once they adopted Paleo-ish diets, several coming from a WAPF way of eating. If there’s nothing really bad, then why are these people experiencing positive results anyway? My impression Jennifer is that there’s still a lot we don’t know about why seeds aren’t optimal, but it seems clear that they aren’t for the majority of the population. The science has to catch up with the results. Mat was explaining what the current scientific evidence supports and doesn’t support. Modern research is only one way of obtaining information, and lack of proof does not mean proof against. It’s possible that in 10 or 20 years we’ll discover ways that grains and legumes affect human health that aren’t apparent now. But to a certain extent that’s irrelevant. As Mat pointed out, we’re best adapted to eating meats, tubers, fruits and vegetables and many people will do best on a diet limited to those foods. I not only would welcome science to get in on the act, but I really believe it needs to be like… yesterday. Instead of all the thousands of studies analyzing the teeny details… how about nailing down what we should eat, what is a natural human diet… that seems to me to be a tad more important 🙂 We could use science to tackle the fine details. What could be more important? We are all DYING to know. We have the information we need: the bio-archaelogical and historical records of humanity’s eating habits, passed down through written recipes and oral tradition, stopping at the late 1930’s in America, when industrially-processed seed oil consumption began to rise. The problem is that we’ve changed our environment so drastically, it’s darned hard to eat like our ancestors. I cant agree more!! I have been reading book after book that defends their claims that their suggested diets are what man was meant to eat. Everything from veganism to Paleo. They have a large list of studies to support their claims, examples of historical tribes etc who live the longest and the most disease free. I am exhausted from trying to sort through to the truth from someone who is not trying to sell anything in the end – no books or supplements – just the truth about what diet our bodies would best tolerate for optimal functioning, long life and least disease. My conclusion to date is to eat what mother nature has given us in the most natural form….nothing from boxes that is full of preservatives and of course limiting sugars…..I would love some supportive science on this topic. Hello! I can’t bring myself to give up quinoa entirely – could you provide us with a reference for the appropriate way to prepare such a psuedo grain? I guess I shouldn’t just be popping it in the rice cooker. Thanks so much! Thanks for all the info Chris. I found out that I am gluten intolerant and after going gluten free my anemia went away. Must have been all the phytic acid! I was reading on your web site that some spirits are made from grain, but since they are fermented it decreases the anti-nutrient properties they may have. But isn’t beer fermented as well? I do miss beer, and before I went gluten free I don’t think beer really bothered me. If you miss beer, I’d do what Chris recommends often: Take it out for a month, and add it back in, and see what happens. Give your body around a week to see if you have a reaction. You may have to do this with multiple types of beers, as they may be different. But if you miss it, it’s worth a try. And if it doesn’t bother you, and I’m no doctor, but I say Go for it! It also seems odd that there were 20 seafoods selected, and only 4 lean meats. How representative is that of a typical American diet? Can this data really be trusted? I do not agree that all evolution cares about is getting to the next generation because if that was the case then there wouldn’t be menopause. There was a need to have menopause. Women were required to live beyond her reproductive age so that her children or grand children could survive. My thought is that evolution wants people who have reproductive viability (due to the accumulated cellular damage that comes with age) to stop reproducing, and menopause serves that function. Would that evolution had a similar process for men. Make that “*marginal* reproductive viability”. Menopause , so no more bad eggs. Damaged through 45 years plus of oxidative and environmental stress, especially the mitichondrial genome. As far as Science vs. Anecdotal Evidence goes, on a scale from Mat Lalonde to Jack Kruse I’d say I’m about a Robb Wolf. I’ve been incorporating a lot of Paleo ideas into my diet in the last few months. One of the main ones was switching to grass-fed beef. I was aware of concerns about high heat cooking and usually don’t crank the heat up on things, however I have no idea of how to cook steak that doesn’t involve a grill. John, sous vide is an excellent way to cook steak. You can jerryrig a styrofoam cooler if you don’t want to shell out the dough. The grassfed issue really bugs me. Does anyone have insight on this: beef is mostly saturated fat so is the higher amount of w3 PUFA really that big a deal? I’ve also read that the w3:w6 ratio isn’t as bad as we might think. Grassfed just doesn’t cook the same as grainfed and when you factor in the price and unpalatibilty I don’t think its worth it. Cornfed tastes slightly greasy to me now. Actually my wife brought that up when I brought home some steak from the butcher the other day. We then tested out two steaks side by side and found it was subtle, but there. I still love a good steak, corn fed or grass fed. We typically buy our cows by the half from the farmer so we get a wide variety of cuts at a very reasonable price. Of course, you need a freezer or a circle of friends to share the meat with then. But I pay less than store prices for regular beef and get grass fed. For me, it’s more about sustainability/supporting local farmers when I buy my meat than it is about the health factor. I’ve read there’s more CLA in grass fed beef and that the ratio of o3:o6 is better, but it’s minimal either way so I doubt it’s a HUGE difference. Other benefits include decreased toxicity of the meat as toxins tend to accumulate in the fatty portions (of which there are more in grain-fed vs. grass-fed) of the meat. Obviously, grass-fed cows are likely healthier in general, and therefore shouldn’t require tons of additives/hormones/antibiotics to thrive as grain-fed cows do (granted, there are some nice organic and additive-free grain-fed meats, but you can be sure that grass-fed will be healthier still). So I’m just wondering, can you get enough vitamin k2 by just consuming grass-fed cows? Or you also need vitamin K2 supplement just like this one (http://products.mercola.com/vitamin-k/) to support it? I’m concerned about this idea of self-experimentation to see if we, individually, can tolerate non-paleo type foods such as dairy and grains. It can show you an immune reaction, yes, although not totally reliably — wouldn’t it depend on the severity of the reaction? But WORSE than that is that the harmful action of these foods can happen over a long time frame… destruction of villi, leaky gut etc. I can’t see how it’s possible to give a green light to any non-paleo food to any individual, or to come up with any practical way to test if any person can eat these potentially damaging foods. I agree, I’ve always been the person with the iron gut, I can eat anything from the hottest indian food to Long John Silvers without any discomfort. My wife on the other hand has celiacs and is very sensitive to many different foods. When I read Cordain’s book I was pretty alarmed because I started to wonder if it wasn’t just bad luck genetics but because of the diets we ate growing up. I’ve always been fearless about dairy and still cut way back even though I never had issues. Now I’m kind of torn between the strict anti-nutrient views of Cordain/Wolf and thinking since I don’t have symptoms taking a less strict view like Mat and Chris. But I don’t have grain cravings so if it pays off in the long term I’m fine with leaving it off. My money’s on being strict (most of the time for you, all of the time for your wife) for the reason I said… there’s no way to know what damage is being done… we may all be able to tolerate novel foods to differing degrees e.g. Scandinavians: raw milk, but nutrition is a baby science and the number of interacting factors is immense, therefore who the hell knows what’s around the corner or what bomb-shells will be dropped tomorrow. To be safe and max out your health, best to go for the types of foods that have been in the human diet for the longest time. I wonder what would have happened if your wife did not know she had celiac and then did this abstention/re-introduction thing. I’m not sure it would have been picked up because the gut will take a long time to heal and then the action of gluten etc is insidious, chronic, not acute. That’s why I’m concerned. Obviously with your robustness, you have room to relax socially etc whereas your wife can’t, you definitely have elbow room but I think minimize novel (<10,000 years) foods. The exception to that could be white rice which is pretty benign, so again, room for social maneuver if your mate is cooking Asian 🙂 Or whatever. I don’t dispute that many people have found relief from myriad ailments by reducing or eliminating grains and/or legumes and/or dairy from their diets. However, what do you guys make of Italians??? There are quite a few centenarian Italians. Is it some serendipitous genetic introgression that explains their “get-out-of-jail-free” fate to date? What of Jeanne Calment, the French woman who lived to 122 or something like that? I wish you guys would tackle these questions if only to clarify the limits of relying on existing research. What of the “dark matter” that we miss by focusing only on what has been studied; as is so clear when we consider the allergen literature? ??? What’s there to make of italians that we don’t already know? Typically more sunshine, more daily activity (less reliance on vehicles in Italy), varied diet with a focus on fresh, local food and more seafood than north america (perhaps this is dying out now, but it definitely built the centenarian bodies we see today)… good family/social support… what makes you think they have some get out of jail free card? Is it because Italians enjoy the occasional pizza, fresh bread, pasta and polenta? From my personal experiences, these food items don’t contribute 40% of their daily intake or anything. “…researchers found that in mice fed the milk fat, Bilophila wadsworthia – bacteria that are normally extremely rare – became much more common, rapidly multiplying from practically zero to 6 per cent of the species found in the gut. The bacteria produce substances that irritate the gut lining and make it more porous, admitting immune cells that trigger inflammation. I won’t be paying much attention until it is. It’s dangerous to extrapolate animal study results like this to humans, as tomorrow’s article on fructose will illustrate. As mentioned in the podcast, humans have been under some pressure to adapt to drinking milk (that is, beyond infancy) that almost certainly the mice did not experience. I wonder what would happen if they used raw cow milk or even goat. That is really informative! I love knowing that I can have sweet potatoes or white potatoes and they are both more nutrition dense than my soaked quinoa and my soaked wild rice! I have not had a potato in several years. Thanks so much that was awesome! “Temperature-dependent decay of wheat germ agglutinin activity and its implications for food processing and analysis” A. Matucci, et al. In this study cooking pasta at 65C (149F) for 30 minutes showed no WGA. I know of no self-respecting cook that would cook their pasta for 30 minutes but I digress. So yes, prolonged wet-heat cooking neutralizes WGA. I would also hazard a guess that fermentation would do the same. “The survey of the edible portions of fresh and processed foods reported here found lectin activity in about 30% of the food stuffs tested, including such common foods as salad ingredients, fruits, spices, dry cereals and roasted nuts. Moreover, a review of the literature uncovered 53 additional edible plants in which phytohemagglutinins have been identified. While, in most cases, the significance of the latter is somewhat obscured since the nonedible parts of the plant were tested, nevertheless, it is quite apparent that exposure to dietary lectins is a frequent and widespread event. While I agree that there has been a certain amount of “alarmism” from Dr. Cordain (his early writings on the supposed harm of saturated fat comes to mind) dismissing concern about lectins in our food supply, and in particular WGA in processed cereals, breads and other baked goods, is scientifically invalid. No one, including Dr. Lalonde, knows what the level of exposure is to this particularly toxic lectin. But with the massive quantities of wheat consumed, I would guess the amount is biologically substantial. Given the overriding pursuit of profit exhibited by food conglomerates, quick baking and processing methods have been adopted to minimize cost, not to neutralize toxicity. This is a big concern because WGA specifically binds gram-positive bacteria. All of our friendly gut flora—both lactobacillus and bifidobacteria species—are of this type. Agglutinated bacteria are effectively dead bacteria once your immune system tags it as foreign and kills it off. A gut lacking beneficial gut flora is a gut especially vulnerable to the ill effects of gluten and ripe for endotoxemia and everything that flows from that. I read the transcript because I can’t listen while at work – and thank you so much for all of this information. My doctor has treated me like I am a crazy hypochondriac for years because none of the normal diseases showed up in my blood tests. I had severe chemical sensitivities, chronic sinusitis, chronic fatigue, hemachromotosis, and signs of systemic candida (probably from 10+ years of antibiotics from constant sinus infections). The paleo diet has pretty much given me my life back and while trying to navigate the waters myself, these podcasts and the wealth of information on your site have allowed me to make informed decisions about what I choose to include in my diet. I truly wish there were more medical professionals who have an understanding of how nutrition can play into chronic diseases, because when I was first diagnosed by a very smart immunologist I became the most over-medicated person on the planet (i had migraine medicine, allergy medicine, sinus medicine, asthma medicine, pain medicine, PPI’s for reflux, etc) and all of that could probably have been avoided by changing my diet. And one question – How does alcohol like beer and wine fit into a paleo diet? I have been avoiding it because sugars in all their forms seem to affect me negatively, but it is a fermented food. I have friends who are just starting to consider the lifestyle changes involved in ‘paleo’ because they have RA and other problems, but they are pretty tied to their whiskey and beer. There was the comment “that hemochromatosis is the most common genetic mutation in people of northern European descent, so it’s between 1 in 200”. There is reason to believe that even carriers can have problems related to low cholesterol. Both my parents are from northern Europe.When I went low carb, my total cholesterol dropped from 190 to 110. I have to eat 4000 – 5000 mg of cholesterol a day (from pork brains 🙂 along with 100g SFA to get it back up to 185. Doing that healed a long standing arthritis in my shoulder from heavy resistance traing in 10 days and made my strength go up by 20% in 2 months even though I had been lifting for many years. Could that mutation have not been selected out because northern Europeans have been living on fatty meat until just a few thousand years ago? Did humans evolve eating brains (15,000mg cholesterol/pound) and marrow and are perhaps actually dependant on it for some ethnic groups? Great podcast! I’d like to second timte’s query as I’ve also asked Chris Masterjohn about gluten causing leaky gut and he said he had never seen a study proving it did so and yet you and Mat here, and in the paleosphere in general, seem to take this fact as a given. Are there studies that prove gluten causes a leaky gut? Not trying to justify gluten consumption incidentally, but it might make the difference between occasionally accepting a small amount of properly prepared gluten-grain or avoiding it like the plague – coming from someone tested negative for celiac and having seen no difference reintroducing gluten after a month long trial gluten free. Gliadin activates zonulin signaling irrespective of the genetic expression of autoimmunity, leading to increased intestinal permeability to macromolecules. Thanks Chris! You and Mat are Super-Geeks (a.k.a. Super-Stars) with this stuff and have shed a beam of light on the pros and cons food exposure. I love the deep dives, technical and clear explanations that may fly over others heads but just add credence to the Paleo community. This was super duper awesome! 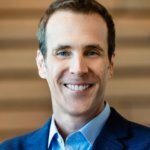 Chris Masterjohn once on his blog challenged anyone to send him a study that proved gluten causes leaky gut, because he hadn’t seen such a study. Are you saying that we know for sure that gluten can cause a leaky gut? Does it do that in everyone or just in some? But you’re doing an awesome job. Kudos! Ditto! This is the first RHR podcast I’ve looked to for a transcription, and I thought that it had to be computer-generated. Thanks so much for your very human efforts. 1. Only have fermented dairy (kefir, yogurt, hard cheeses). Drink home-made goat kefir if you’re looking into building up lactose/casein tolerance. Ferment your yogurt/kefir for 24 hours to remove most lactose. Don’t buy bottled kefir, it’s near-useless regarding potency. 2. Only have dairy from goats, sheep, and buffalo (not normal cows — different casein). 3. From cows, you can go only for whey, butter, cream, and even then, prefer goat sources if you can find them. 4. Don’t drink unfermented milk (go for coconut or almond milk if necessary — also avoid soy milk). Go for some occasional raw goat milk only IF you can trust the farm. Isn’t there also something about two different kinds of cows/milk, and the more traditional kind is better tolerated? Ugh. Daylight. Teach me to think first thing in the morning. There is a kind of “normal” cow that has the right casein, but good luck trying to find which farm has these, or if the milk you’re drinking is using milk from such cows. The best route is to no have dairy from any non-buffalo, non-highland cow. This refers to A1 and A2 genes in various cattle: “new” cattle contrasted to “old-world’ cattle. I reacted variously to differing levels of milk products, and figured out fermented dairy (aged cheeses, yogurt) elicited less problematic or few reactions, but still varying from season to season and product to product. Until I found a yogurt product at the East Indian market which elicited no reactions whatsoever. And a second and third trial was the same. A nurse WPF rep explained about the ‘old world’ cattle and this gene being the likely culprit in all my struggles. Now, I found a local farmer with mostly A-2 gene cattle, and the kefir we make with that milk creates never a reaction or burden. I am a poster child for the A1-A2 argument. For more amazing info, the book by the medical doctor bringing this evidence to light is entitled “The Devil in Milk”. What i would be especially interested in is: Why does Casein have an Anti-Nutrient-like effect? I mean, it’s not like the milk wants to defend itself, right? Chris, courtesy of teh Google, this seems to be the reference for the complex adaptations quote: The Adapted Mind: Evolutionary Psychology and the Generation of Culture by Jerome H. Barkow, Leda Cosmides, John Tooby (it’s actually p 222). Thanks for the informative podcast! Genetics and epigenetics gets a lot of attention (and research funding) in the scientific community – but since we are “90% microbes and 10% human” – maybe a bigger piece of the puzzle as far as ability to digest and assimilate foods is microbial. What happens when we compromise our microbiome with stress, poor nutrition, and antibiotics, steroids, hormonal birth control, etc. How does that harm us and affect our ability to get the nutrition we need? How do we restore and recolonize our gut with the proper organisms? My guess is that that is the real key to healing and maintaining health. And about the harm that we get from compromising it, the possible things I do know are: diarrhea, constipation (sometimes both are possible at the same time no matter how counter-intuitive it seems), lowered immunity, yeast infections. There are probably a lot of other things that can happen because of that, but those should be the most common, that can later lead to other more serious problems. Great podcast guys, all of us really appreciate the info. Just one thing – the “Our ancestors did this, therefore we should too” argument is obviously invalid as Mat has pointed out. BUT as you, Chris, Chris Masterjohn and Robb Wolf point out – its probably the best place to start and start making inferences on how we SHOULD live. BUT we are NOT chimps. We are homo sapien sapiens. And the homo sapien sapiens from a few hundred thousand years ago are us. Why the comparison to the chimp? We also share 60% of the same genetic makeup as the fruit fly. But so what? You’re supporting his point. He’s saying that the argument that “our genes are nearly identical to our ancestors genes so we should live like they livet” is flawed because our genes are also nearly identical to chimps. We shouldn’t live like chimps because our genes are similar, right? Even Chimps have a 97% vegetarian diet….. Biological evolution is not the only factor to drive diet choices. Ecological considerations and ETHICAL considerations are also key to our survival. A balanced vegetarian diet with high physical activity will be fine on ALL FRONTS (except for hedonistic considerations of it tastes good).